In viewing the movies, The Legend of Bagger Vance and Hoosiers, coaching and consulting form the premises of each movie. Coaching and consulting are often compared and contrasted. A coach is a supportive person who teaches and trains others in a respectful manner. A coach works through the tasks with the client to improve skills and talents within that person. However, a consultant is someone who shares expert advice about a specific topic. Consultants have a deeper understanding about the area in which they are consulting. In some instances a coach and consultant can use different techniques to achieve the same results. The coach in The Legend of Bagger Vance and the consultant in Hoosiers both help their clients to grow individually as people; defying the odds against them. 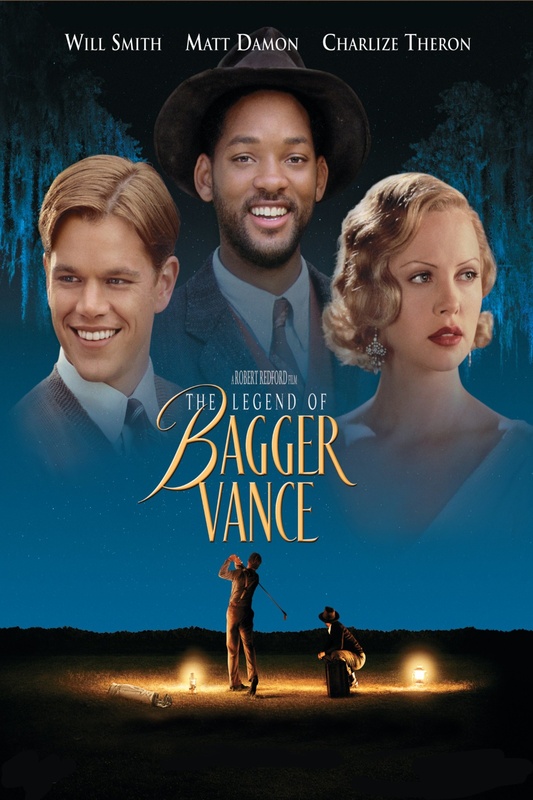 The Legend of Bagger Vance is about a caddie, Bagger Vance, coaching a retired war veteran/ retired golf professional, Junah, in a golf contest. Junah was not only retired from golf; he was retired from the army, and had not played golf in over a decade. The contest was the pivotal moment in the movie, as the coaching was done during this time. Junah, “the underdog,” went into the contest very unsure, uneasy, and unable to stay with his competitors. Bagger Vance, Junah’s caddie, was the one to step up, and coach Junah through the contest. He saw greatness in Junah, when Junah could not find it in himself. A coach is supposed to do just that; help pull greatness out of others. Bagger Vance guides Junah and allows him to make and learn from his mistakes. However, he is also there to provide guidance when Junah is ready and willing to listen. Coaching is a two way street. In order to communicate effectively, the coach needs cooperation from the client. Junah’s poor performance was not because he was incapable of playing golf still; it was because of his poor attitude. Bagger’s essential objective is to get Junah to forget himself and his problems, and concentrate his full attention on the work at hand – the field. There is a special moment in the movie where Bagger Vance teaches Junah how to see the field. He tells Junah, "There's a perfect shot in each and every one of us and all we got to do is get ourselves out of its way and let it choose us." In other words, we are the ones who put up the greatest resistance to achieving our greatness. Junah allowed his own self to be distracted and conflicted by his own thoughts. Bagger helped Junah believe in himself. As he begun to focus more on just playing and less on his own insecurities, he started to get himself back in the game. A great coach helps bring about inner confidence so the client can succeed alone. After a while Junah begun to become over confident and would not listen to Bagger. Bagger simply watched Junah began to perform poorly again because of his rebellious demeanor. Bagger would not help until he saw Junah hit rock bottom, almost cheating in the contest. It was then that Junah realized he needed to listen to Bagger and let him help. Bagger simply tells Junah to allow his natural talent to shine through, which he began to do again. Upon the 18th hole, Junah could have cheated, but decided not to. This was growth, as he could have cheated without anyone knowing. He felt convicted about being dishonest from before and cared to win honorably because at that moment he knew he could. Though Junah did not win, he was able to make it to a three-way tie among two of golf’s greatest competitors. The lesson, at large, was for Bagger to coach Junah until he was able to finish the match on his own. Bagger knew that the ultimate achievement would come only by self-reliance and not by dependence on someone else. The main focus of a coach is to help the client do well on their own and Bagger did just that. Junah was able to succeed for himself, as he did well in the contest, and regained the confidence he was born with. Bagger Vance used great coaching skills to reach his client. The final feeling of triumph was the happiness Junah displayed at the end of the movie. In contrast to coaching, a consultant is an experienced individual, trained to advise and analyze his/her client and help them make the best possible choices. Hoosiers is a movie about a basketball coach turned consultant, that helps himself and the people around him overcome the odds of being the underdog. 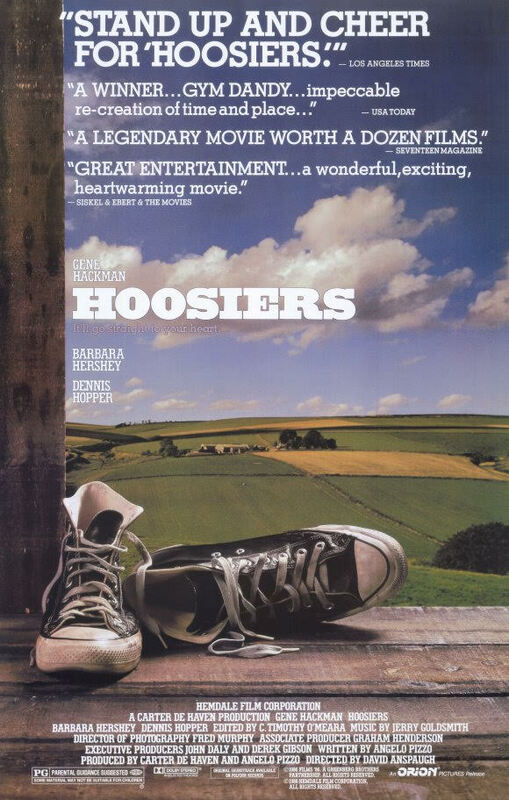 Hoosiers is a touching movie that gives us a story based on a small, oftentimes overlooked High School basketball team in Indiana that overcame the odds stacked against it and earned themselves a spot in the State Championships. If ever there was a perfect story of second chances, overcoming adversity, struggles with self-esteem and redemption, it is this story. Almost everyone in this storyline is fighting his own “demon.” For one, the new (over-experienced, blunt and oftentimes volatile) coach – Norman - is in charge of a struggling team that barely believes in itself, because no one else does. The townspeople in this movie are extremely passionate about the sport and throughout the movie they insert themselves in many team issues that do not concern them. The movie is set in a time where the size of the school and student body size did not matter when scheduling games. No one really expected this small-town school full of small, no-names to amount to anything; let alone win a State Championship. Norman has been given the opportunity with this position to not only transform the team, but to redeem himself from his own past demons. Norman previously showed aggression towards a student and he is determined to win back his respect in the world of basketball. After losing the most skilled player on the team, Jimmy (because of his loyalty to the former coach) and introducing new practice and game techniques to the team, Norman is not really given a warm welcome from the townspeople or and/or parents because of this “different” style of coaching. Norman believed in team work, one player should never overshadow another and every player (regardless of his skill) would be given the same opportunities. This technique, coupled with the newfound details of Norman’s past, enraged the over-zealous parents. Norman's position was further threatened because, he appointed Shooter Flatch as his Assistant Coach. Flatch, who is a respected former team member’s father, is also known as "the town alcoholic." Because of his endless (private and public) battles with alcoholism, the townspeople decided that enough was enough. They held an emergency town meeting in an attempt to have Norman removed as Head Coach, all together. Needless to say, this never happened, thanks to the unexpected support of a few people that believed that Norman deserved to at least finish out the season with the team. Eventually Jimmy decides to return to the team, with his full support. The team goes on to win almost every game and in an effort to show the townspeople that Shooter is perfectly capable of leading a team, Norman purposely gets himself removed (ejected) from a very important tournament game. Norman did this an in effort to help Flatch regain the respect he lost due to his constant issues with low self-esteem, forcing Flatch to step into his full potential. While this second chance significantly enhanced Flatch's otherwise beat down self-esteem, it was short lived because, he relapses. However, the team stays the course and their hard work pays off they go on to defeat the State Champions, in what can only be described as a David vs. Goliath type of match up. This movie taught the client to be patient, diligent and to stand in the face of adversity. Norman and Flatch learned that second chances don’t come easy. It is my opinion, that Norman (an expert when it comes to basketball), although over-experienced for the position was called in, almost as a consultant. Norman, the teammates and the towns people all needed redemption and an opportunity to be re-branded. Norman's determination, expertise and style of coaching/consulting were straight forward and ultimately ushered in that redemption. Norman strictly enforced what he thought was the most effective method to invoke the change needed to make the team grow. Coaches aren’t compensated for most of the hard work they put in and a good Coach is careful never to force anyone’s hand, they provide the skills necessary that in turn, allows the client to make choices on their own. In the end, Norman accomplished his task which was to change the teams’ outlook about themselves and in doing so, he changed the outlook of the town and the perception of small town teams capabilities across the country. While the roles of coaching and consulting are two very distinctive positions designed to drive two different behaviors, it appears that these positions tend to oftentimes intersect, as evidenced is in both movies. The coach in The Legend of Bagger Vance did an amazing job of providing encouragement, support and guidance without being judgmental. In the end of Hoosiers, Norman did exactly what he was hired to do; he changed the thought process, and actions of the both the team members and the townspeople alike. The coach and consultant played their role adding to the growth and potential of those they served; achieving the client’s desired results.